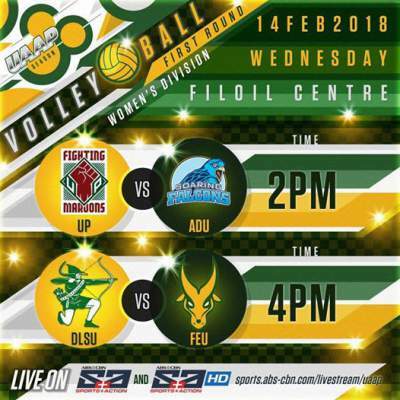 Here is the details for De La Salle Lady Spikers vs. FEU Lady Tamaraws in the First Round of UAAP Season 80 Women's Seniors Volleyball Tournament. De La Salle Lady Spikers defeated FEU Lady Tamaraws, 3-2, on Wednesday, February 14. Watch the highlights from De La Salle Lady Spikers' 3-2 win over FEU Lady Tamaraws on February 14.